A Clonmel mother has spoken of her frustration with the delay in transferring her infant son from hospital in Dublin back home to Clonmel. Five months-old Alex McGrath has yet to be brought home since he was born at South Tipperary General Hospital on November 2 last. Within 12 hours of his birth he was transferred to Children’s Health Ireland (CHI) at Crumlin (previously known as Our Lady’s Children’s Hospital, Crumlin), where he has remained a patient ever since. Alex has a rare condition called Stickler Syndrome and also has Pierre Robin Sequence, which is a cleft palate and undersized jaw (micrognathia) where the tongue is further back than it should be, which causes an obstruction to the airways. Because of this condition he had to undergo a tracheostomy when he was just two weeks old. Tragically, his father Paul Ryan died in an accident just ten weeks before Alex was born. 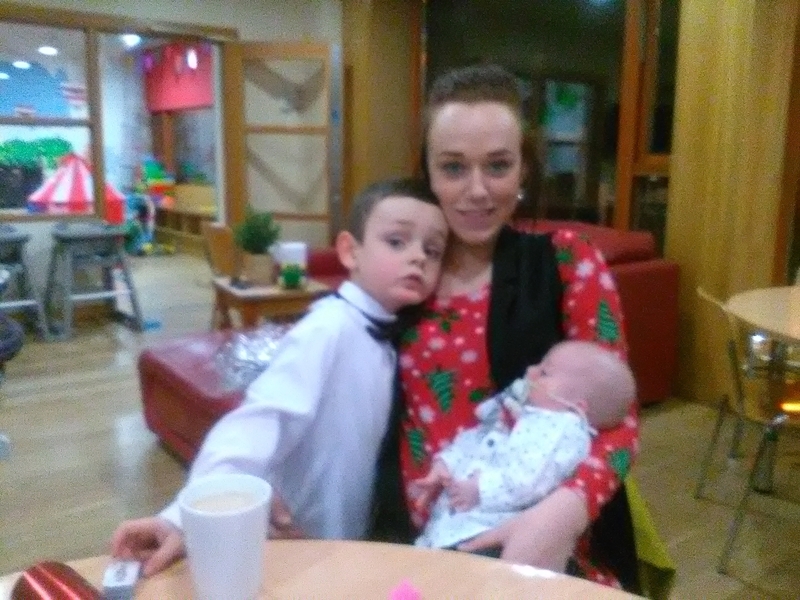 Alex’s mother Rebecca McGrath spends six days a week with her baby in Dublin but this is placing a strain on the family as she has another son, 7 year-old Ajay, at home in Oakland Drive in Clonmel. “I really don't know how much we can take as a family, it is really dragging on now”, she said this week. “It’s crazy, there’s no excuse for the hospital in Clonmel not to take Alex back". She says that she and her father Denis McGrath have spent the last few months training in how to care for Alex with the ENT (ear, nose and throat) specialists in Crumlin. "We are waiting for a home care package to be approved before we can go home because Alex needs 24-hour care. My dad and myself will do daytime and we'll have a nurse come out to my house for night time. This is a long process, between getting approved for funding and getting equipment for home. While we wait for the home care package we are trying to get Alex transferred back to South Tipp General Hospital". Ms McGrath said that they have had three different visits over the last five months from three different departments in Clonmel to make sure they were all confident in taking on her son as a patient. "The ENT CNS from Crumlin went to Clonmel for two days and trained 24 staff nurses on how to care for a patient who had undergone a tracheostomy". However the family was informed shortly before he was due to be transferred that the Clonmel hospital couldn't admit Alex as a patient because it doesn't have an occupational therapist, and because of staffing issues. "There have been weekly updates from Crumlin hospital to the Clonmel hospital over the last few months and all was good to go ahead with the transfer", says Rebecca McGrath. "Clonmel received any reports they requested from Crumlin, including speech and language, physiotherapy and ophthalmology" . She says that her other son Ajay thought that his monther and baby brother were coming home, only to be told it wasn't happening just yet. "Ajay is currently staying with my dad as I'm here all the time", says Ms McGrath. "I go home on a Wednesday evening and back to Dublin on a Thursday evening every week and I spend one day a week at home. I have to be here all the time, as I'm Alex's only living parent and do not have anyone else to rotate the time with. I have a room in the Ronald McDonald House, which is on the hospital grounds. It is a great service and is allowing me to be here so much. I get my other son Ajay up some weekends as well. "As it stands now there is absolutely nothing medically keeping us in hospital, other than the wait for our home care package". A spokesperson for South Tipperary General Hospital said “South Tipperary General Hospital does not comment on individual patients.